Why individual tour is better than group tour? On individual, or private tour there is only you and your group. On this tour you can change the itinerary, start time, end time, type of transportation etc. How many people max can be in my group? There are maximum 6 people in one group. We speak Russian, English, Spanish, German, Italian. Our guides have linguistic or/and historical background. The guide meets you at your centrally-located hotel. Centrally-located means within the metro circle line (brown). Otherwise (if you stay further than the metro circle line to not spend time on the road, or if you want to start the tour not at the hotel) the guide meets you in front of the Four Seasons hotel, at the first column from the left. It is metro station Okhotniy ryad, red line. After booking you get the contact number of your guide. Can I have an individual itinerary? Yes, you can create your own list of activities and places of interest, and have a customized tour. You can pay via PayPal or in cash to the guide on the day of the tour. Where will we eat (and will we)? Normally if the tour is longer than 3 hours we stop by the authentic places to have a lunch or a coffee. What is the method of transportation during the tour? Most of our tours are walking. Between the locations we use metro or taxi, depending on the price and traffic. We also have car tours, with a guide and a driver. Can I go on a tour with a baby carriage or with a wheelchair? 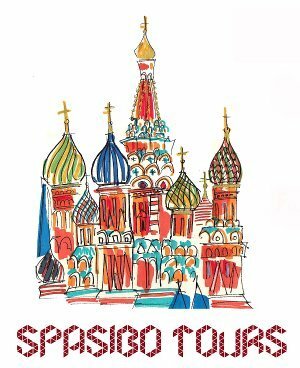 Yes, you can use baby carriage or wheelchair on several tours, such as Moscow Must-see's tour, Moscow Kremlin tour, Moscow Culture Tour. This option is not available for the Moscow Metro tour, as there are no elevatos and a lot of stairs. Please contact us if you have special requirements for the tour.